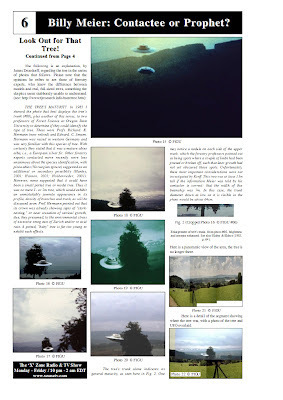 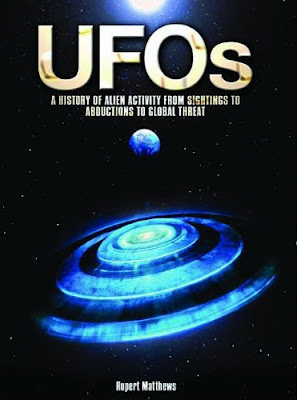 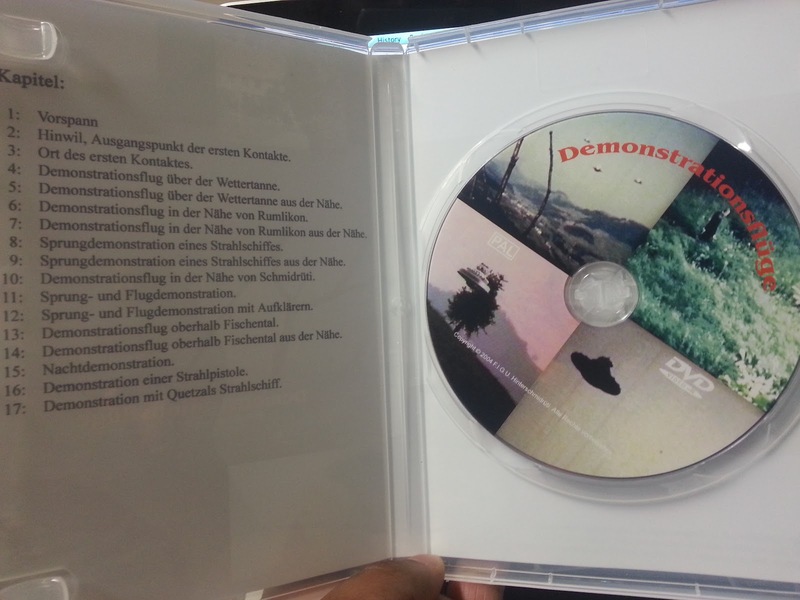 Purchase the movie at Scubbly..
"as the time fulfills" is the newest, most definitive documentary on the Billy Meier UFO contacts in Switzerland. 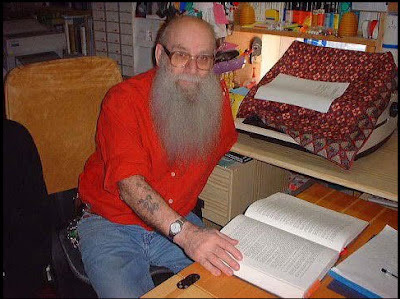 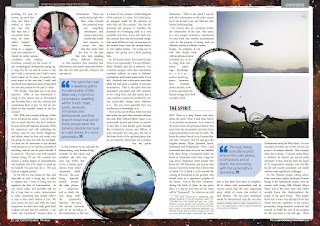 With ironclad, documented corroboration of more than 50 examples of Billy Meier's specific, prophetically accurate scientific information, his singular status as the only authentic UFO contactee, and the prophet for the new time, is indisputably established. 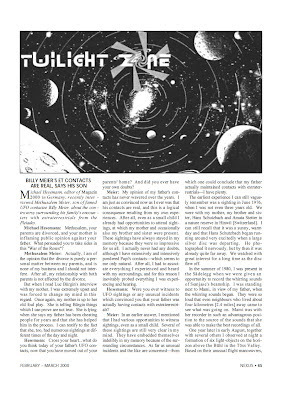 "as the time fulfills" demolishes any and all arguments from skeptics and other religious believers. 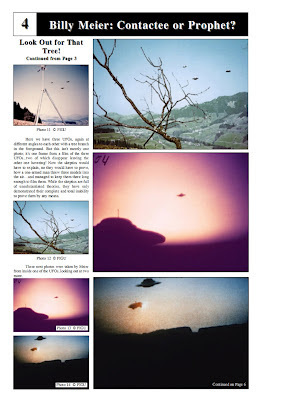 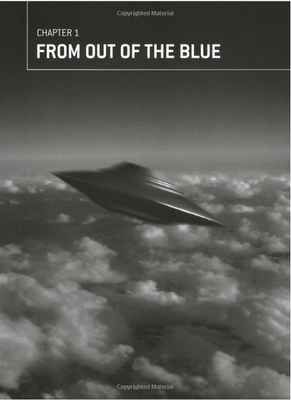 It will be equally troublesome for the "UFO industry" that promotes false and irrelevant UFO cases and so-called contactees - as well as studiously ignoring the Billy Meier case in pursuit of profits. 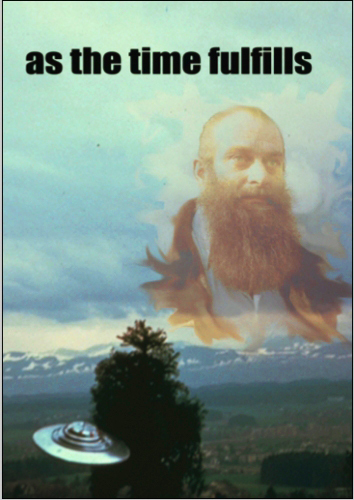 "as the time fulfills" also presents the clear distinctions between the fear-inducing, enslaving religions and sects and the true spiritual teaching. 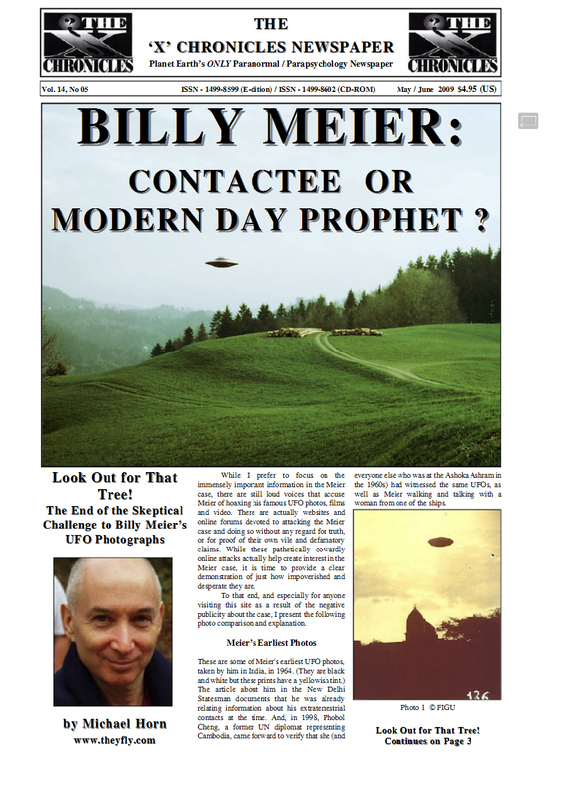 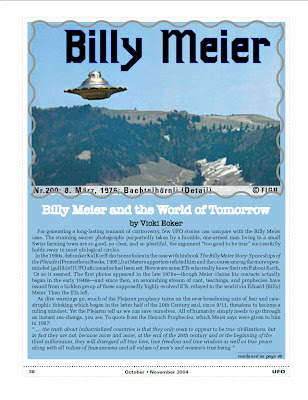 · Realities of using "free energy"
…and the radically controversial truth about who Billy Meier really is! 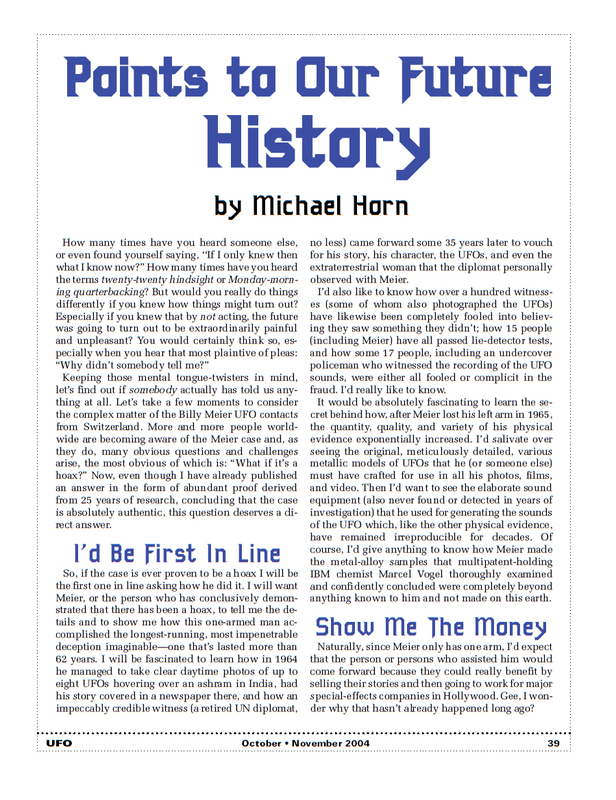 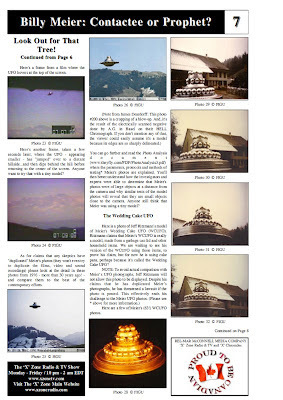 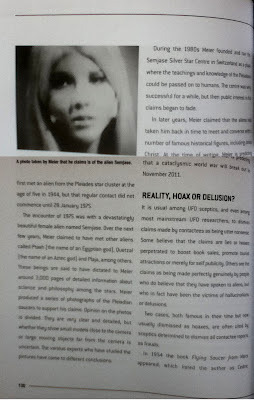 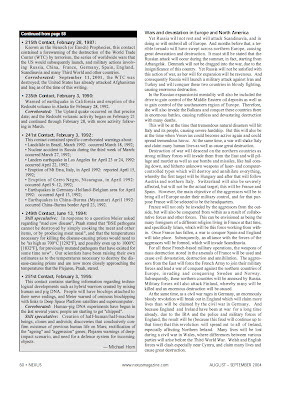 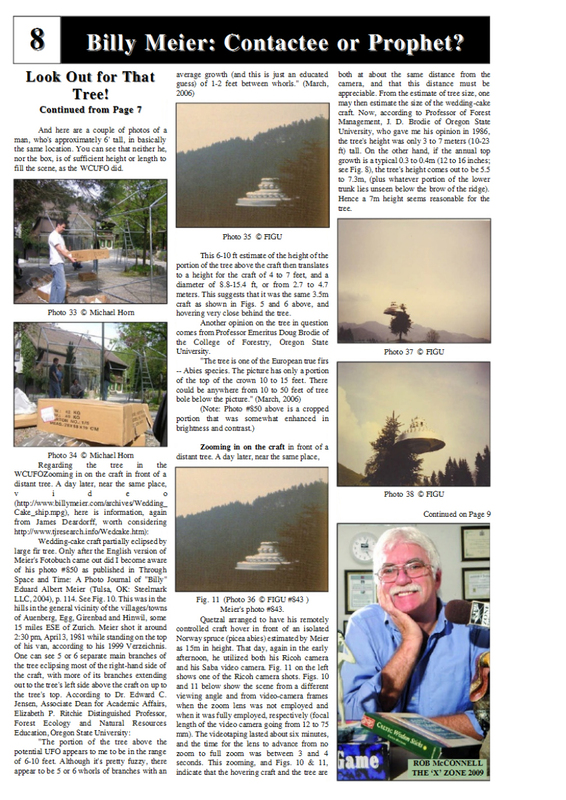 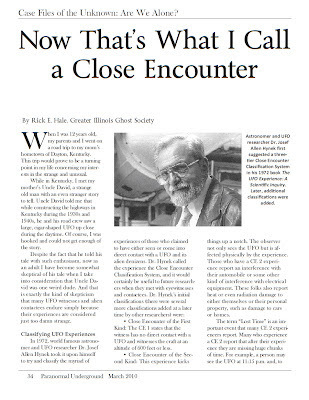 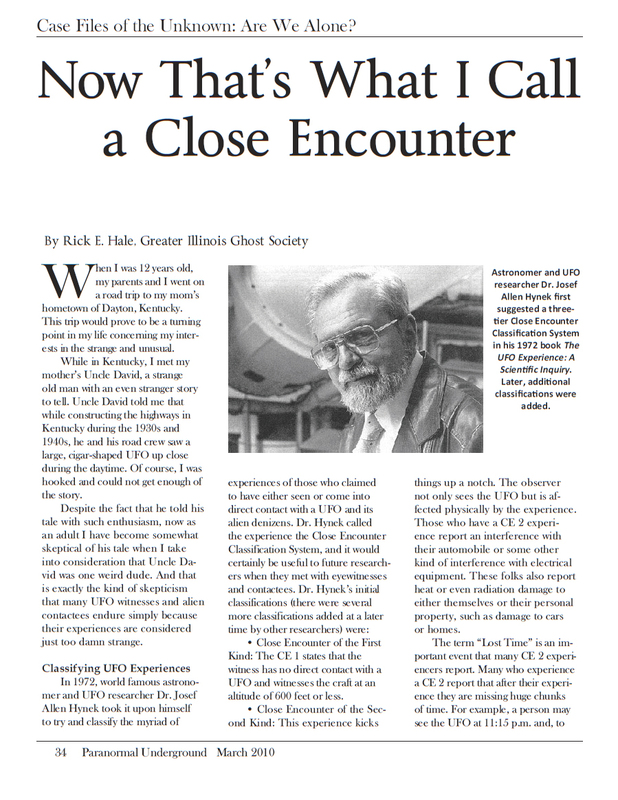 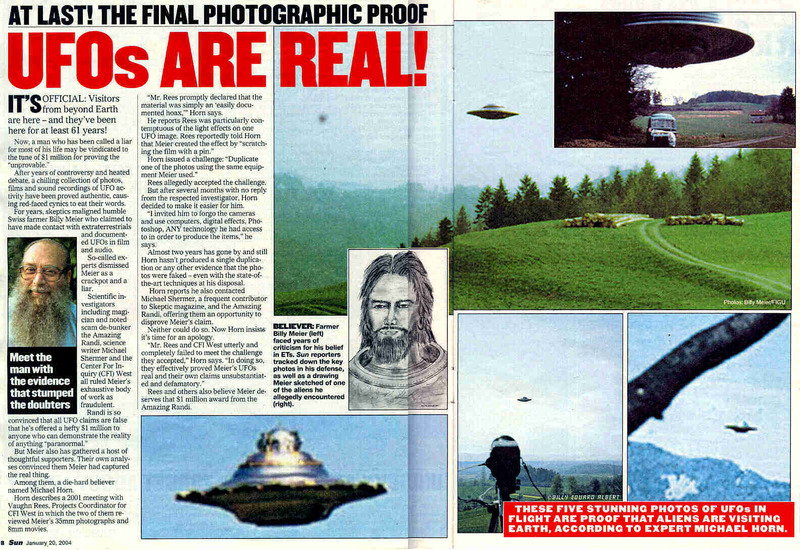 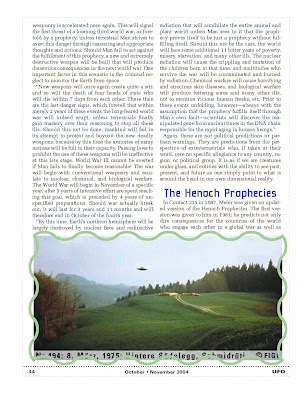 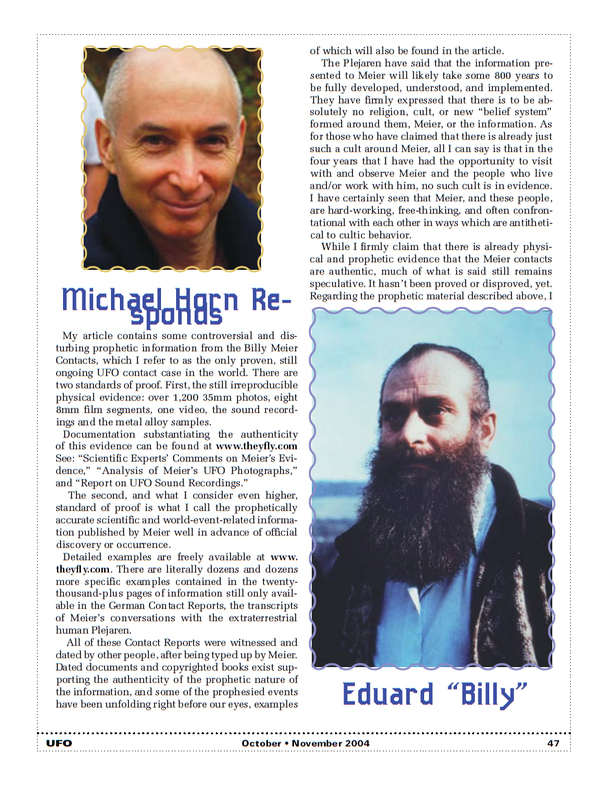 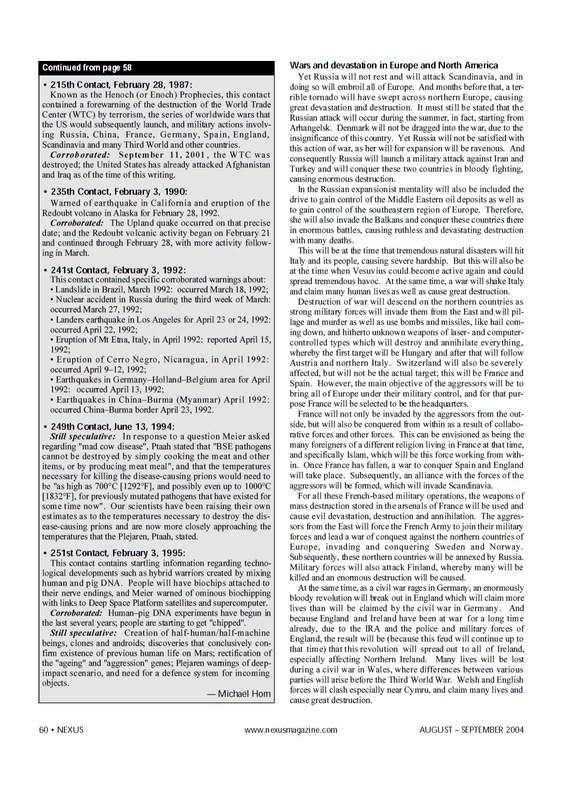 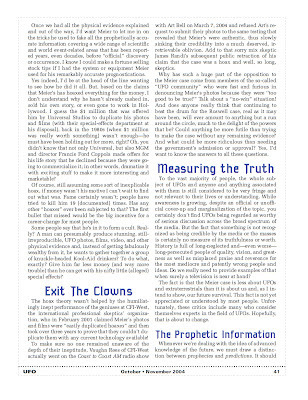 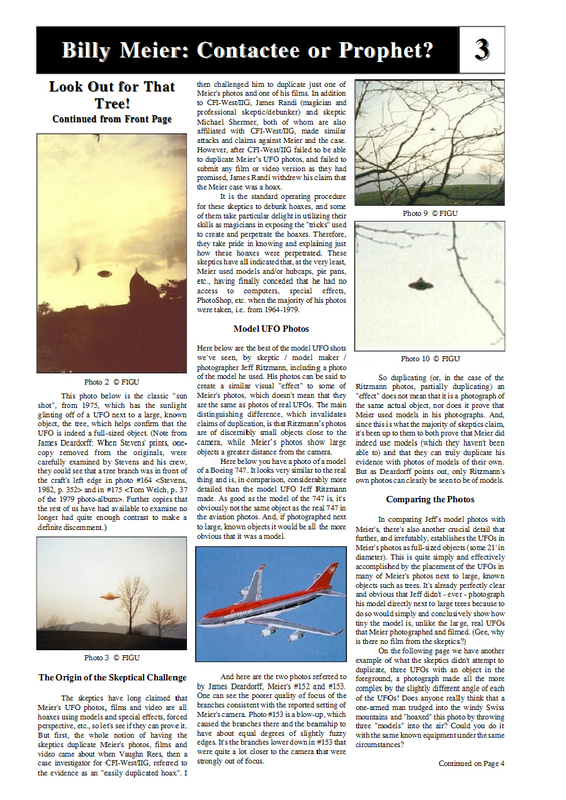 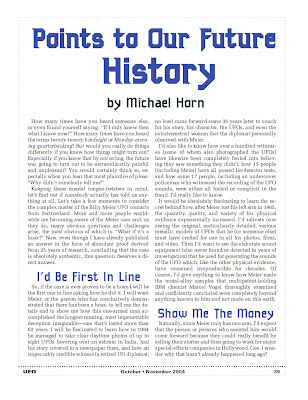 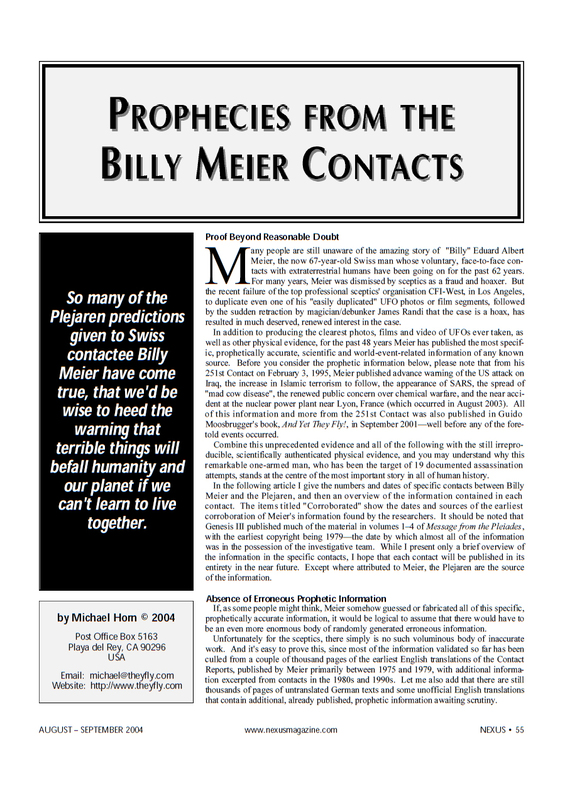 Mystic Pop Magazine(May, 2004) - UFO Prophet Right Again ? Note: The sentence in the last page apparently didn't end with that page. Also I could not find the continuation, on any other page. 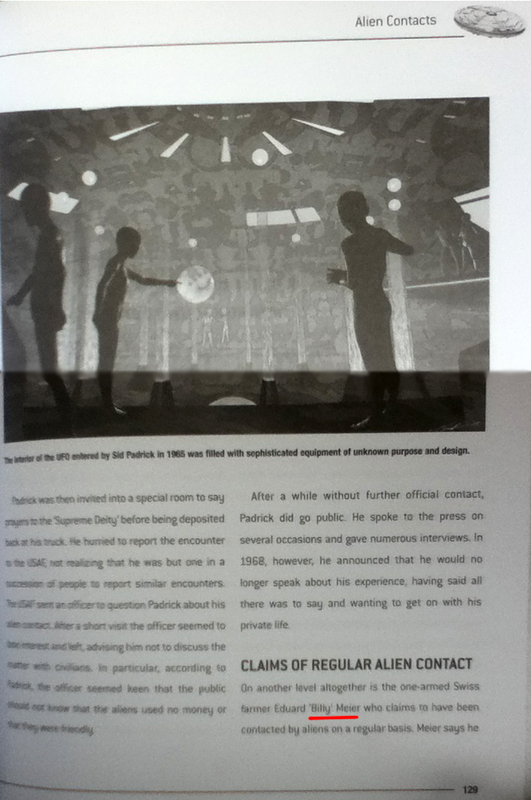 When i contacted the seller, they said they would look into it but it has been a couple of months and i still got no response. 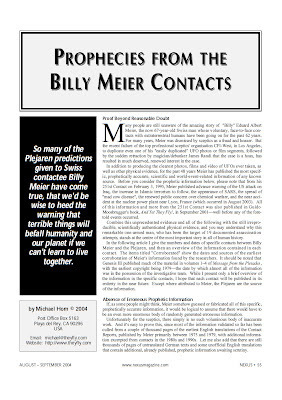 "Regarding the prophetic material described above, I hope to be among those who disprove it. 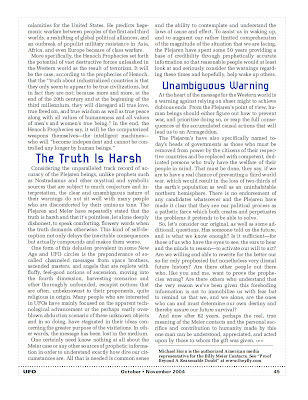 - M.H." 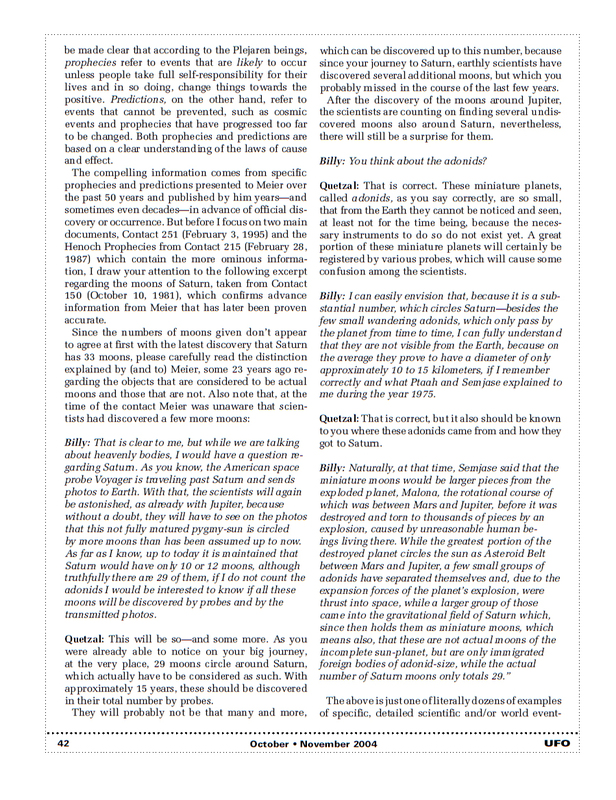 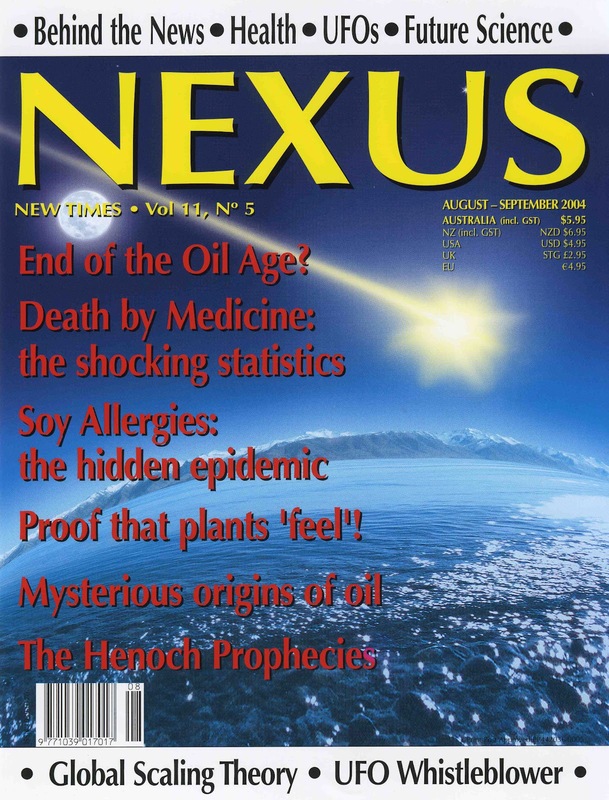 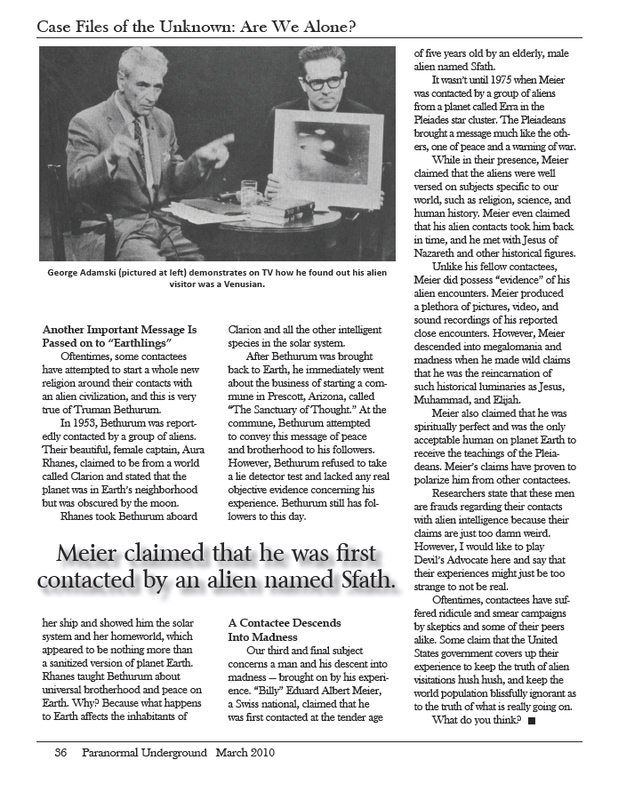 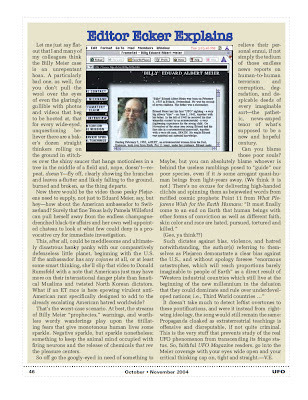 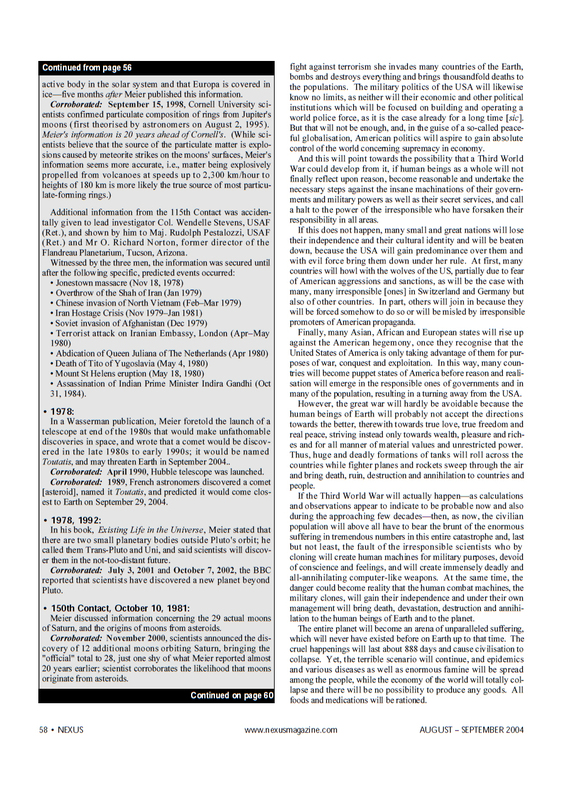 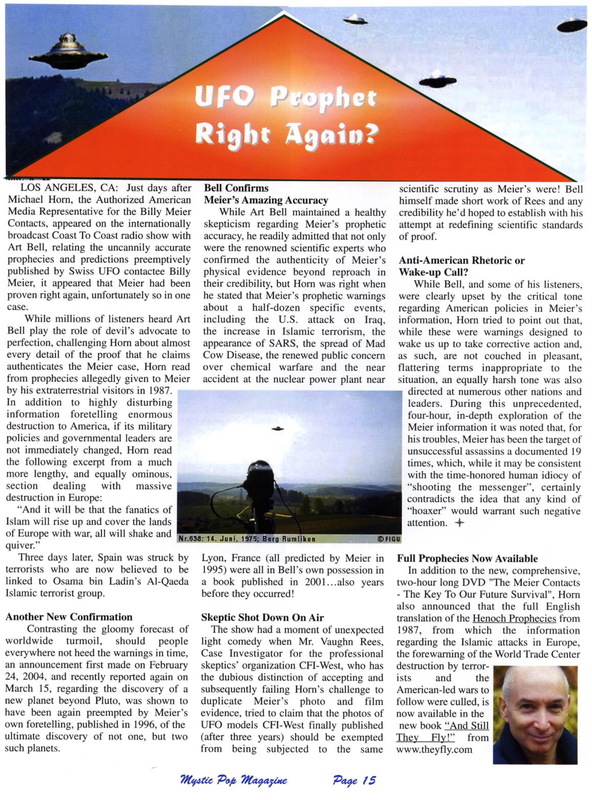 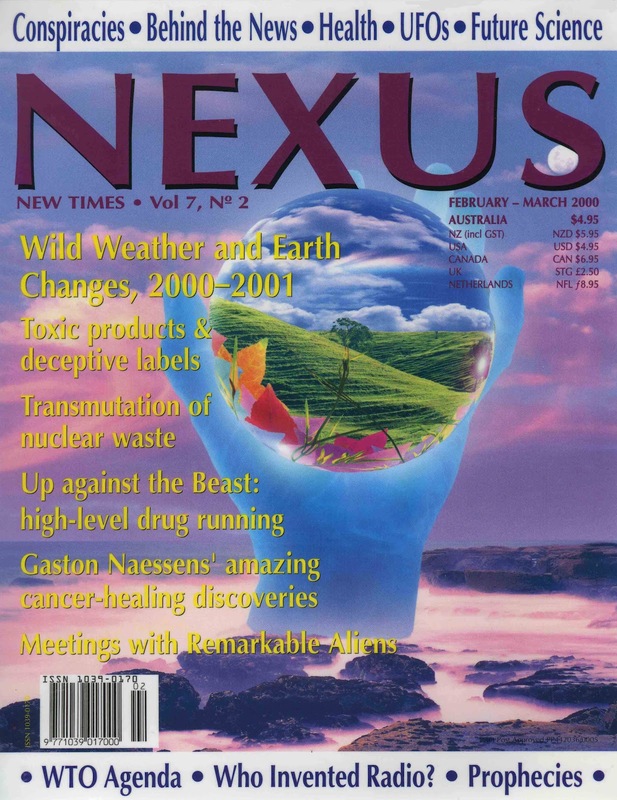 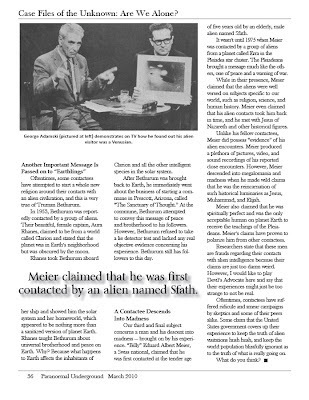 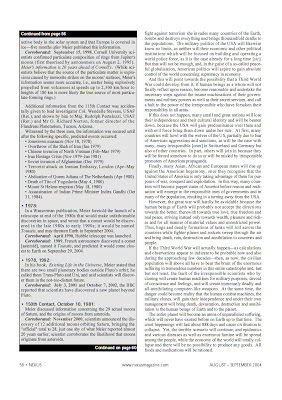 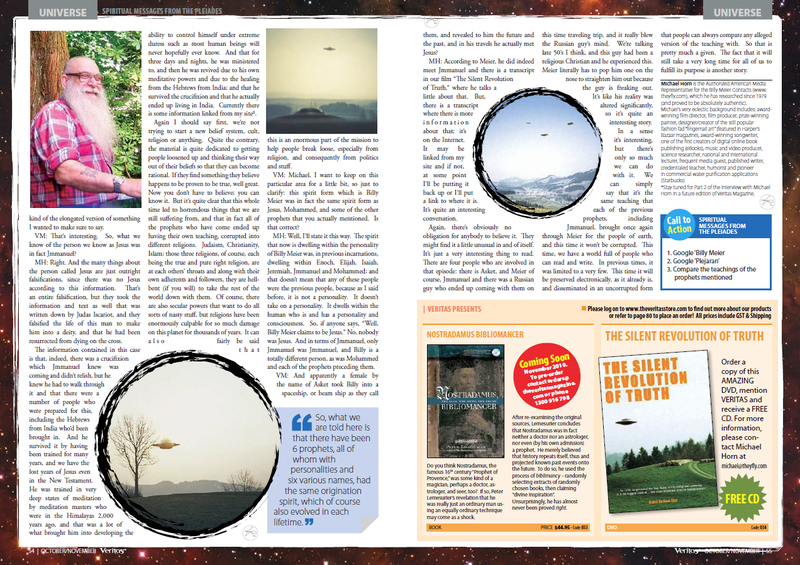 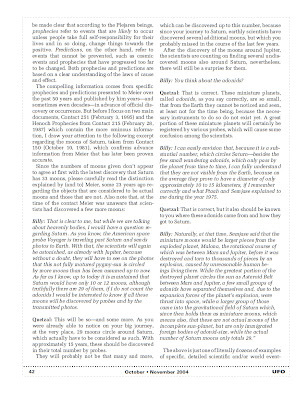 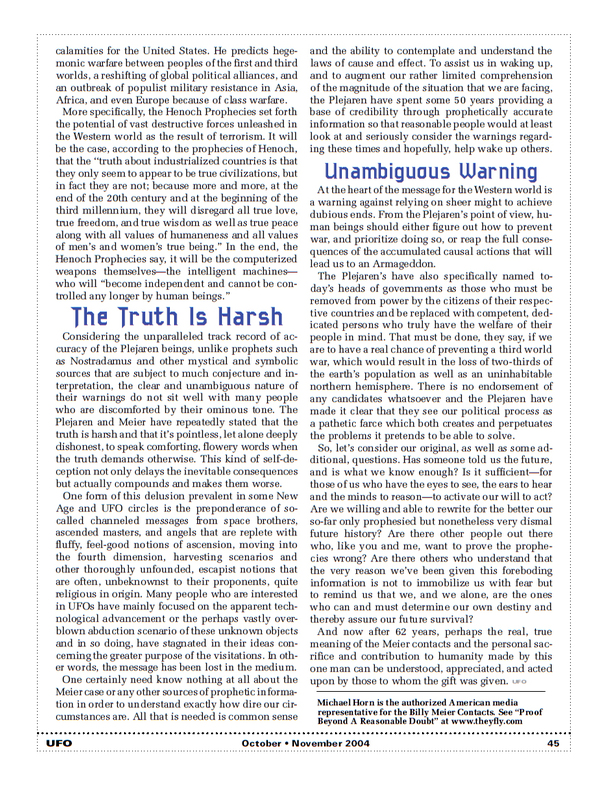 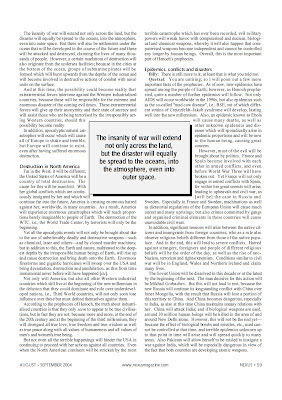 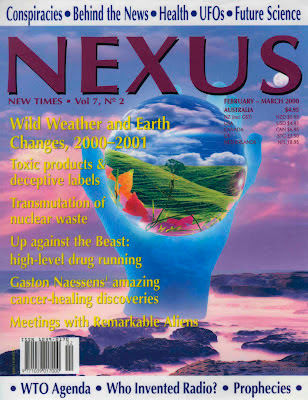 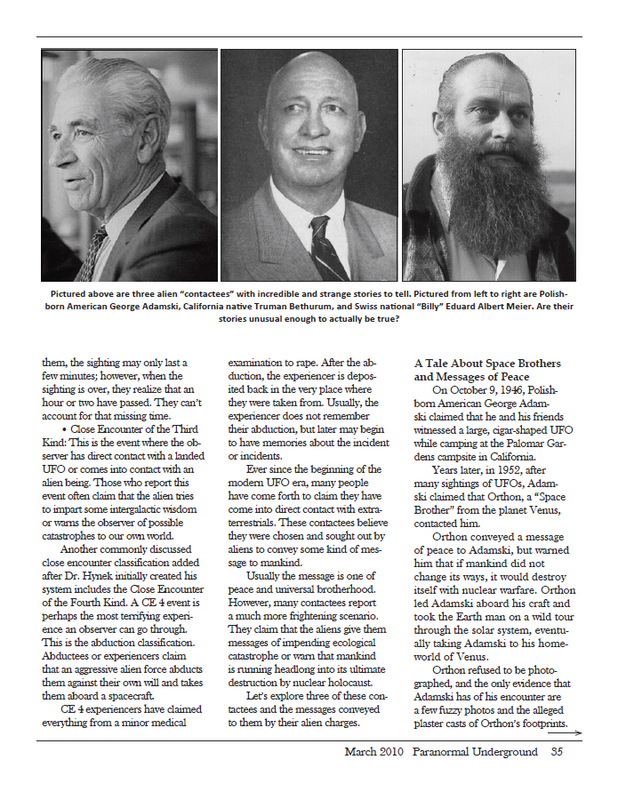 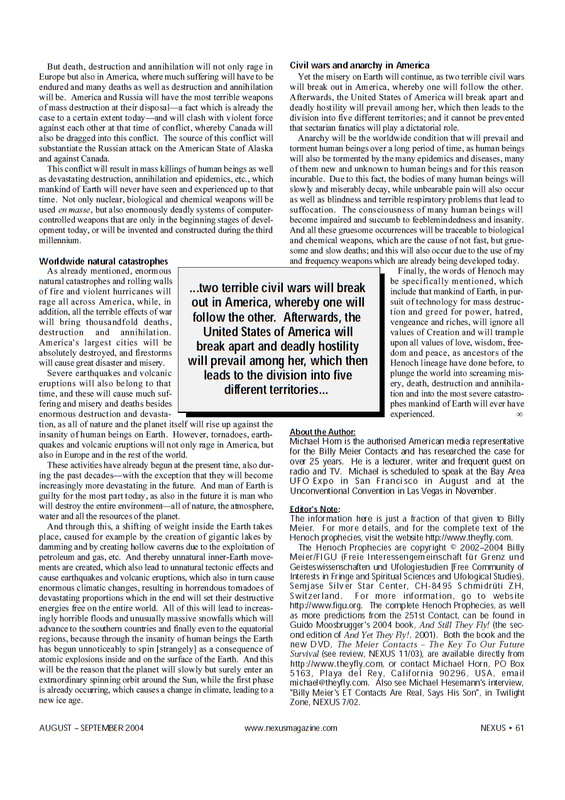 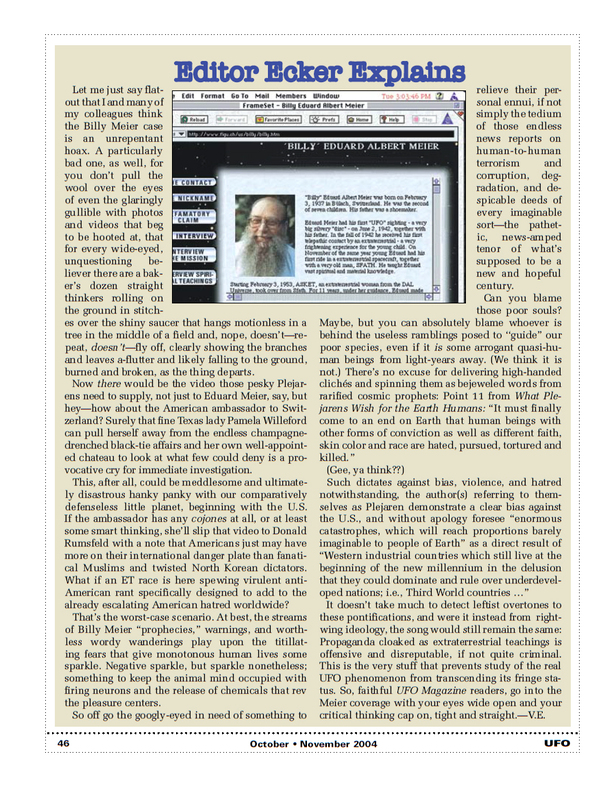 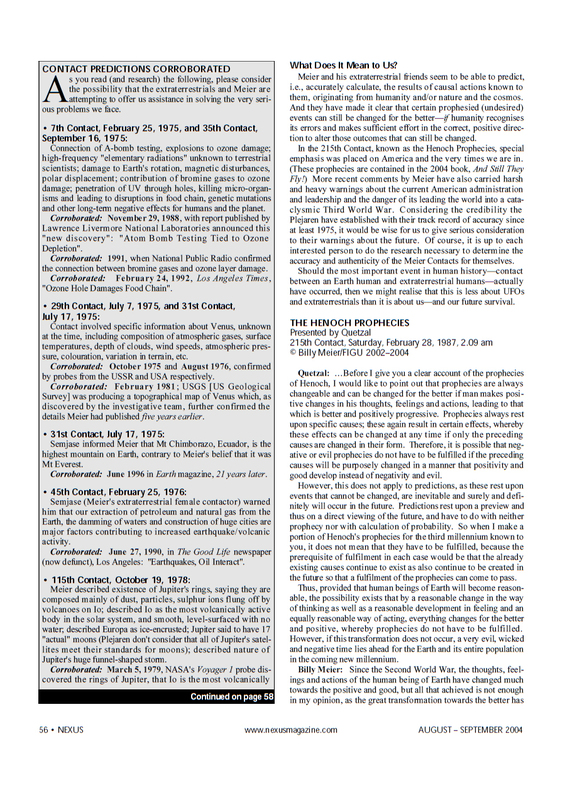 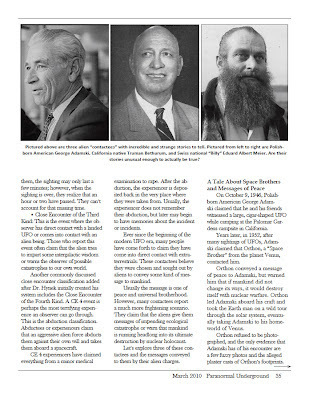 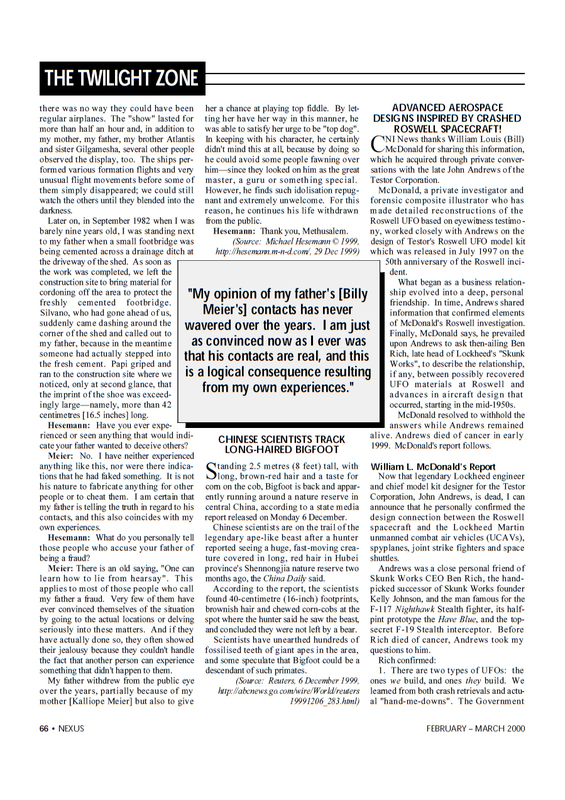 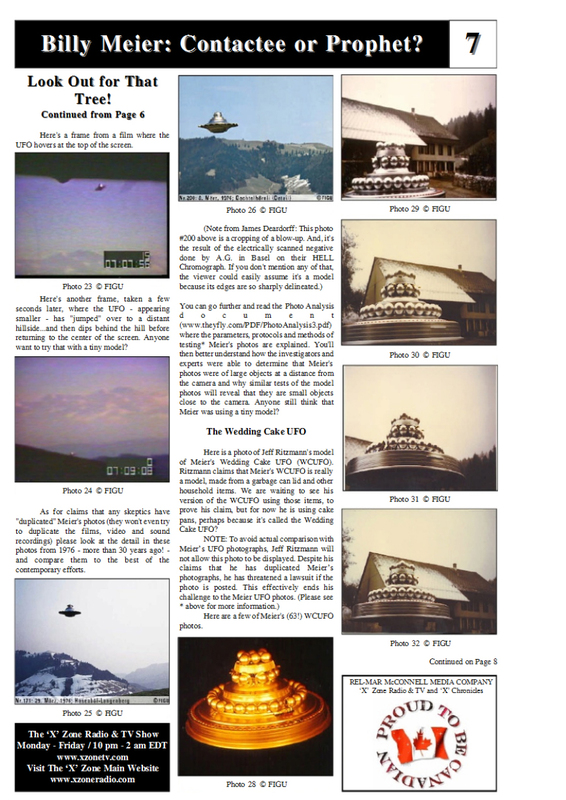 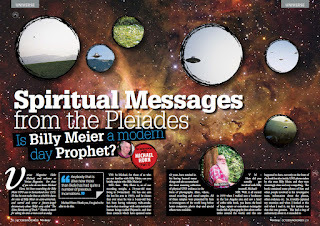 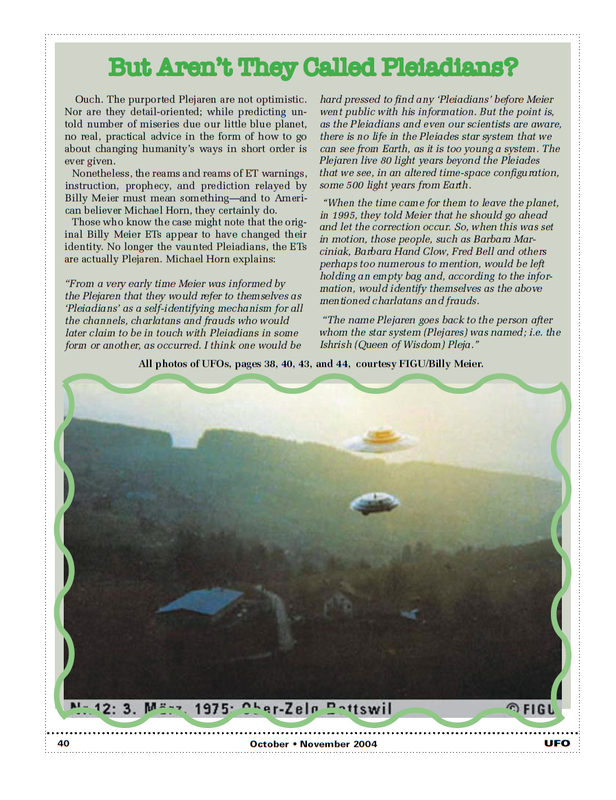 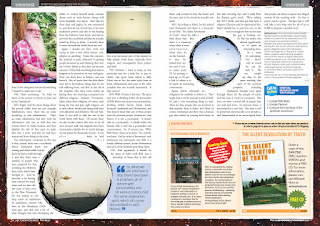 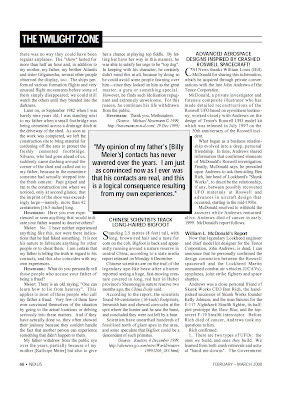 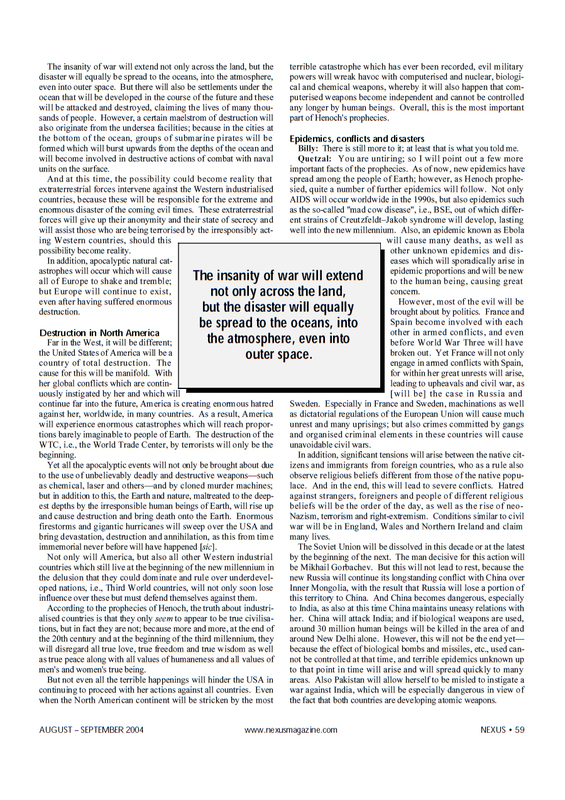 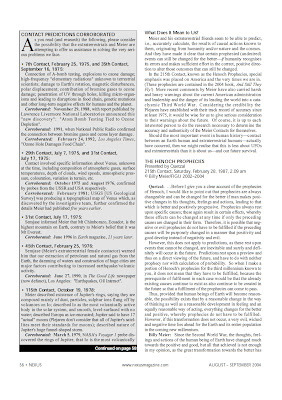 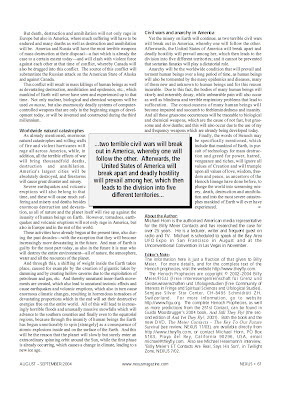 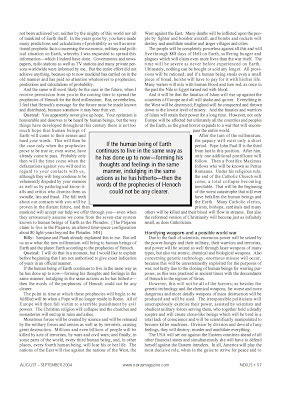 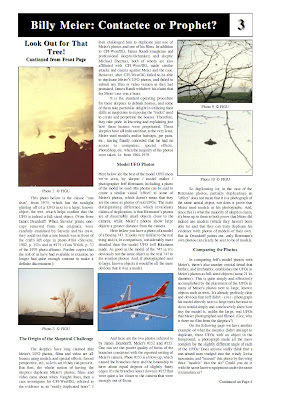 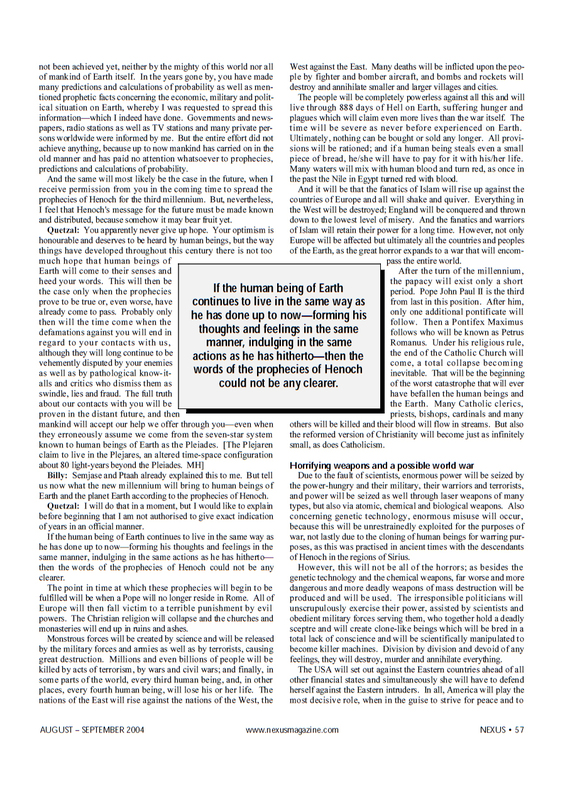 Veritas Magazine(Oct/Nov 2010) - Spiritual Messages from the Pleiades – Is Billy Meier a modern day Prophet? 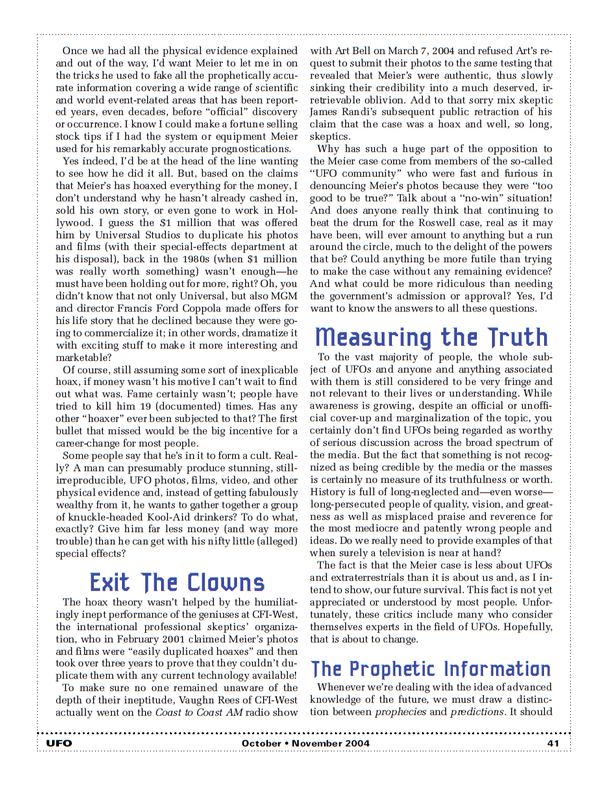 Note: If anyone has the remaining 5 parts of this 6-part interview, would you please share them with us? 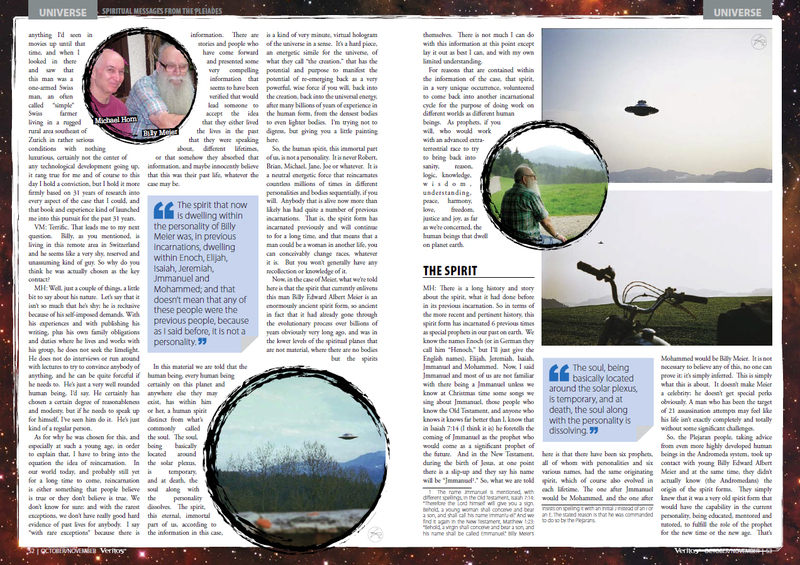 The long-awaited film by mad underground auteur Damon Packard (REFLECTIONS OF EVIL) features a sweet but mentally unbalanced young woman obsessed with crystals, dolphins, Pleiadians, David Icke and Richard C. Hoagland. Soon she becomes increasingly disillusioned with New Age philosophy, in particular with the Billy Meier Pleiadian contacts, and is evicted from her room, forced into the insane outside world subject to the effects of "The Dead Zone,” where everything turns in circles and the true original experience of life no longer exists. 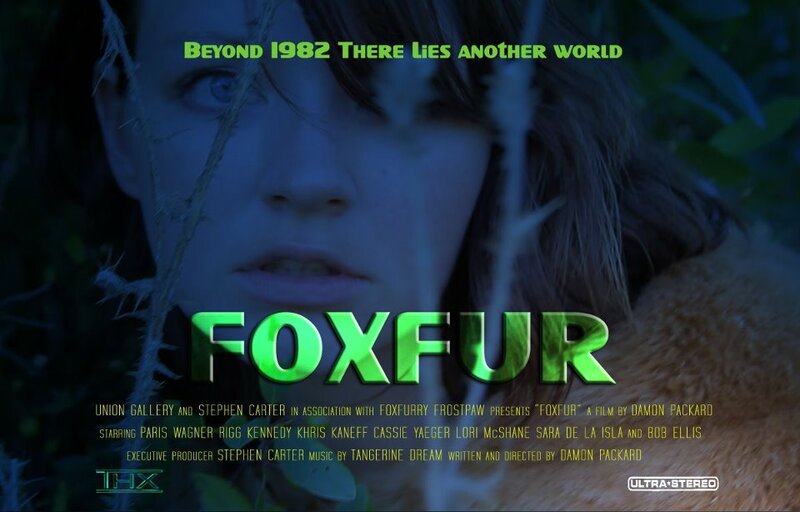 Listen to the radio interview on 'Radio Misterioso'..
Watch the 'Foxfur' - Theatrical Trailer.. 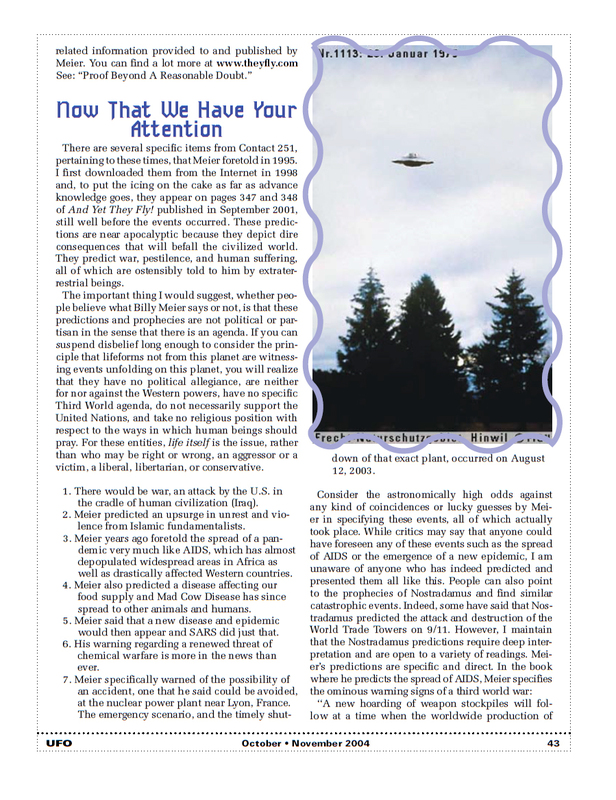 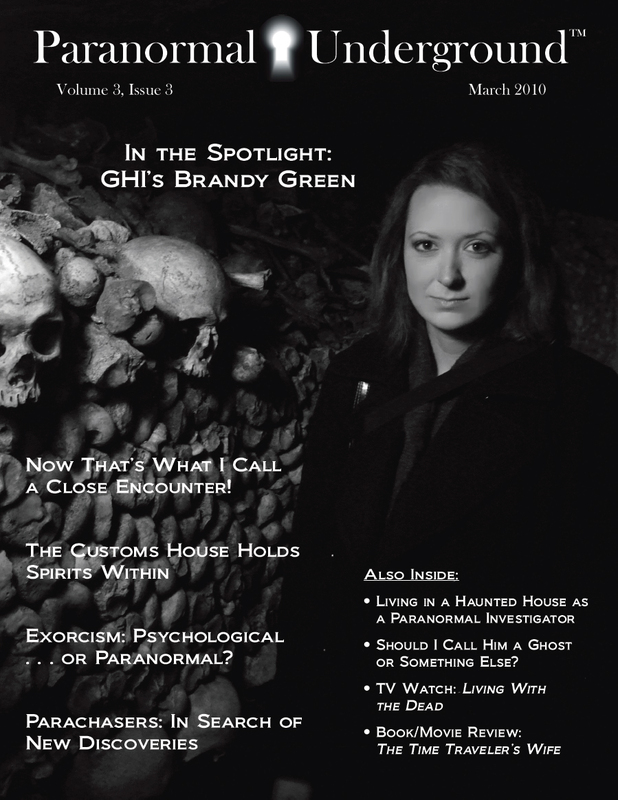 Note: Pages from number 9 are only accesible for paid members. 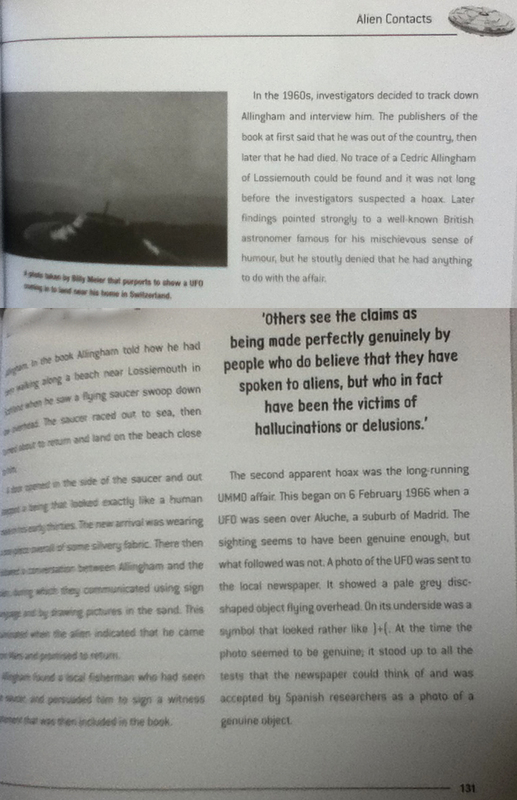 Note: The mess in the last 3 pages is due to them being secretly photographed by my brother in the bookstore..